Description First isssued in late 1948 at 1/8d. Reprinted in 1953 at 2/6d. 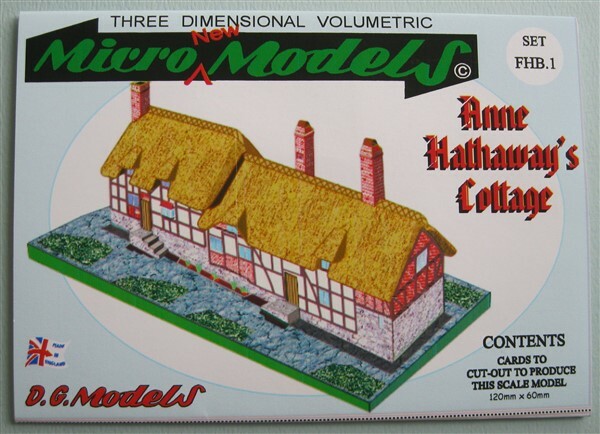 The 1/8d printing has the address 6 Raquet Court, whilst the 2/6d printing has the address 3 Raquet Court. Catalogued as out of print in 1956. No stocks passed to Broadway Approvals in 1956.
one printed straight from the original 2/6d printing plates. This version is printed on modern white paper, so it is distinguishable from the original. 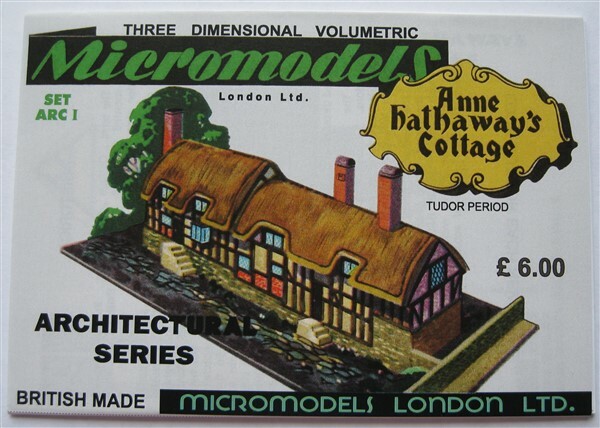 Collectors have to be cautious because when you see only a picture of this model it is impossible to determine if it is an original or a re-issue. 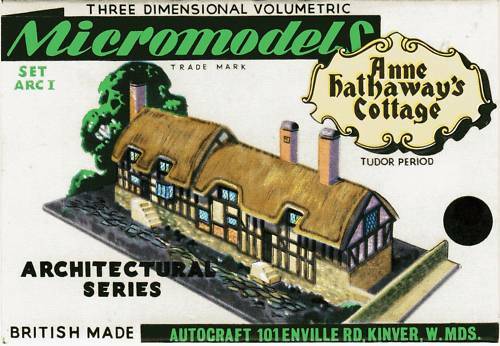 a prototype priced at 1/-d . 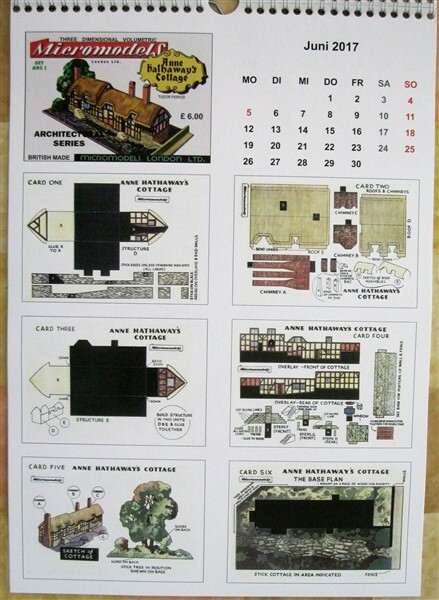 Drawings for this kit are produced untouched from the original archives. 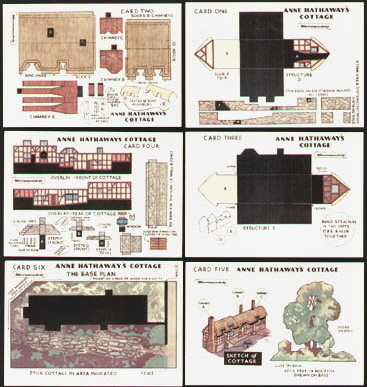 A base card has been included as this was not part of the original drawings. 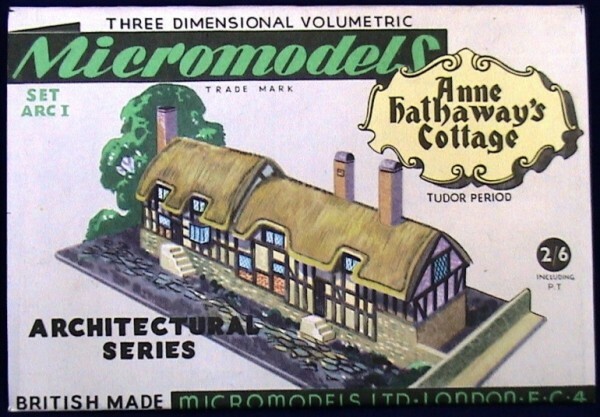 The cover drawing of the cottage is the one used to illustrate the kit in early Micromodel catalogues and differs slightly in angle and detail from the model published by Micromodels. one with the head Micro New Models, priced at 1/8d. 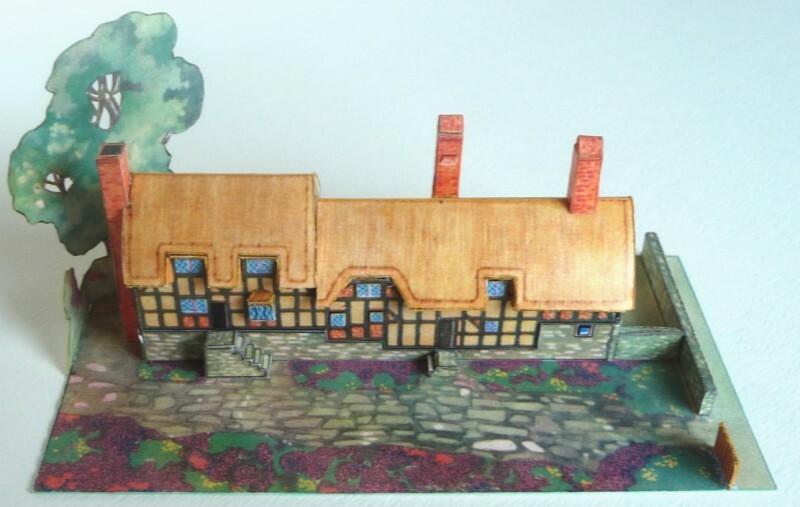 one model in a larger scale with completely new artwork. 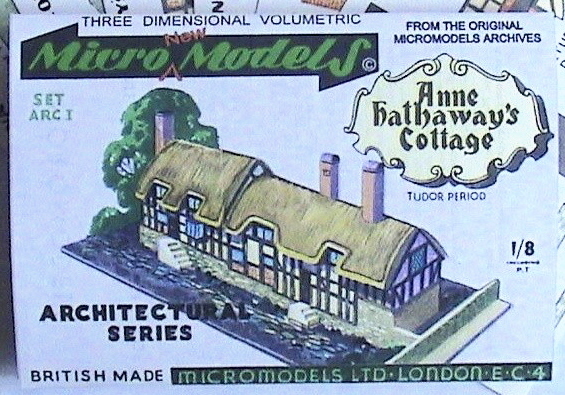 a micromodel numbered FHB.1 which has the same artwork as the larger model. 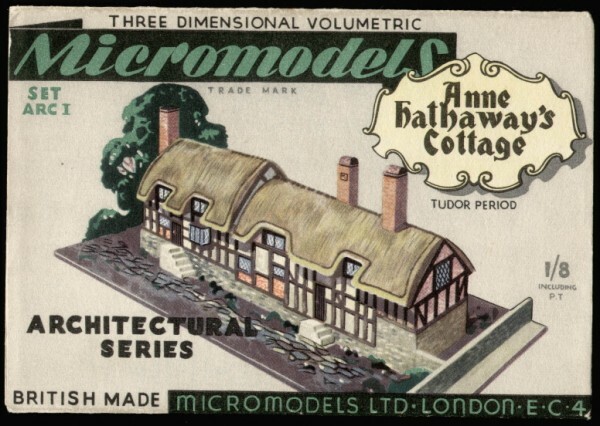 Micromodels London has also printed Anne Hathaway’s Cottage as a packet with cards and a wrapper, but also as part of their calendar 2017.